Scientists at the University of Iowa have shown that we can increase the strength of our muscles and become fitter just by imagining working out. In their experiment they had one group of people flexing their little finger in five sessions a week for four weeks. They had another group just imagining the flexing but not actually doing it. At the end of the study the scientists measured the muscle strength of each group. The group who did the physical flexing had increased their strength in their finger by 30%. The group who just imagined the flexing had increased their muscle strength by 22%. Just by imagining doing the exercises they increased their muscle strength. So if you don’t fancy going to the gym then take advantage of this pioneering new mind technology. 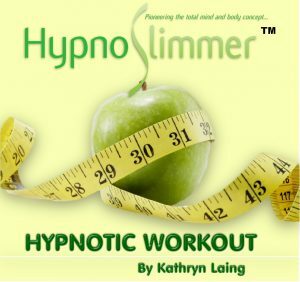 Kathryn Laing, one of our senior Hypnoslimmer consultants and Aerobic expert, produced and recorded this amazing hypnotic workout. This virtual workout is now available through our national network of hypnoslimmer consultants as a vital addition to our leading weight control system.